A world-first clinical trial of a new cellular immunotherapy for multiple sclerosis (MS) has found that it improved symptoms and quality of life for most patients. The Royal Brisbane and Women’s Hospital’s Professor Michael Reade and his research team including Dr Anthony Holley have been the first Australians to win an award at the US Military Health System Research Symposium, the largest military clinical science conference worldwide. Metro North researchers were in the national spotlight overnight, taking out a prestigious Australian Museum Eureka Prize. Congratulations to Professor Scott Bell and colleagues from the CF Air team who are finalists in Australia’s leading science awards, the 2018 Australian Museum Eureka Prizes. 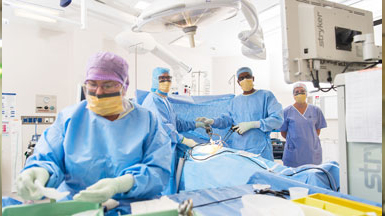 In a world first trial, Australian researchers have found that robotic-assisted prostatectomy is providing equal outcomes for urinary and erectile function to open prostatectomy. 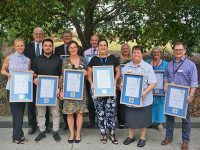 Brilliant research happens every day across Metro North, and our research community was recognised last night at the 2018 Research Excellence Awards. Researchers from the Critical Care Research Group at The Prince Charles Hospital have developed a world first app to help combat delirium, a devastating medical condition considered one of the greatest mysteries of modern medicine.